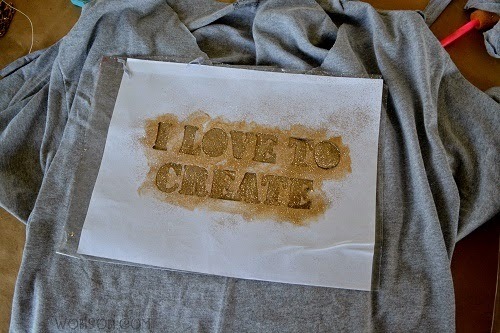 Over the last couple of months I have been posting a few posts that I did for the blog called I Love to Create. I wanted to have my projects here so you could find them easily. This was a post I did last spring. I thought it would make a great DIY. 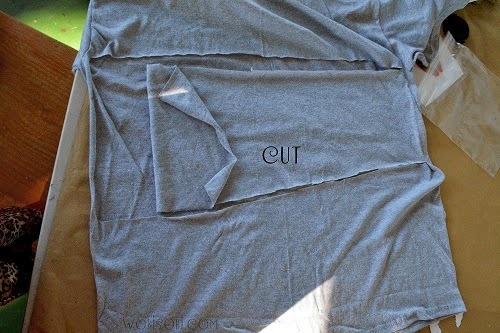 to make the shirt personal just for you. 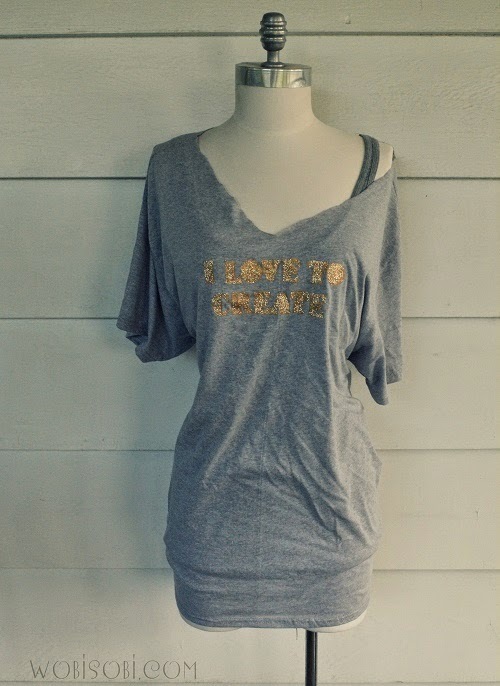 You could wear it as a beach cover up or wear it with a tank and jeans. 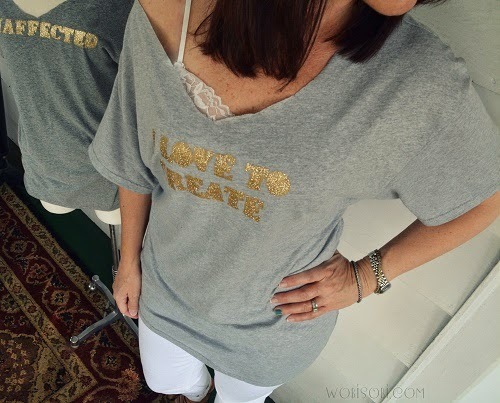 Check out how I made this braided back, Stencil Tee. 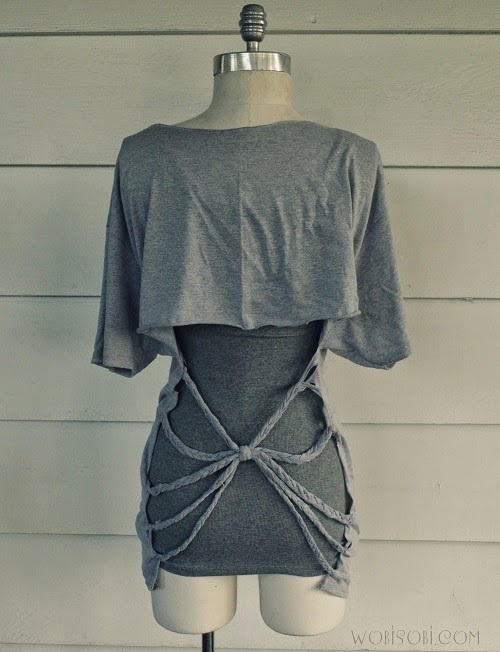 for an off the shoulder look. 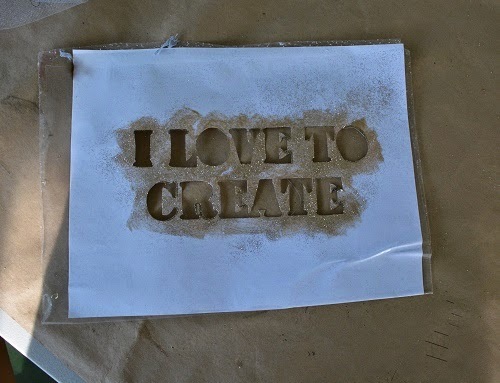 and with an X-acto knife I cut the words out. 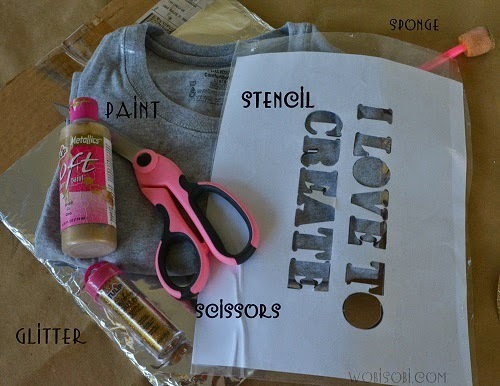 Place the Stencil on the front of your shirt. Put your cardboard in between your shirt. Then while the paint is still wet sprinkle Tulip Gold glitter all over the paint. 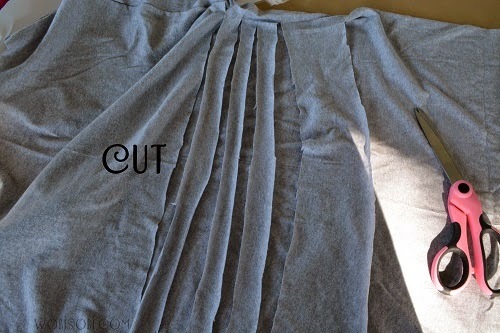 Let dry completely before doing the next steps. 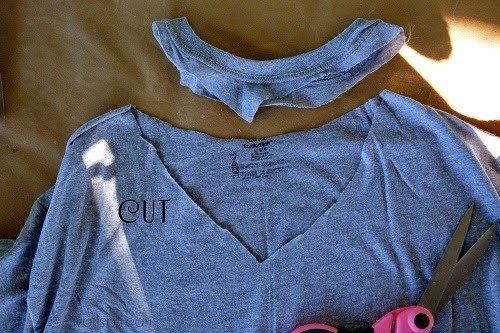 On the back of your shirt cut out a section that looks like the picture above. And the other half into three strips. 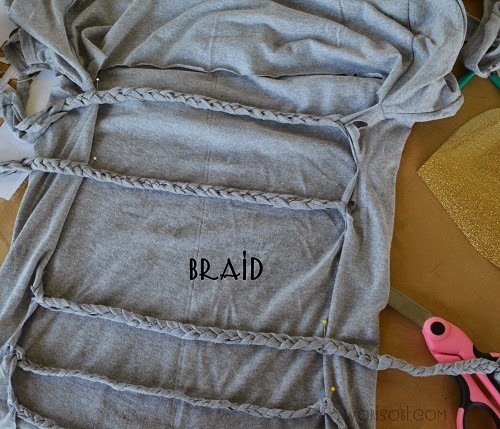 you can make as many braids as you want. 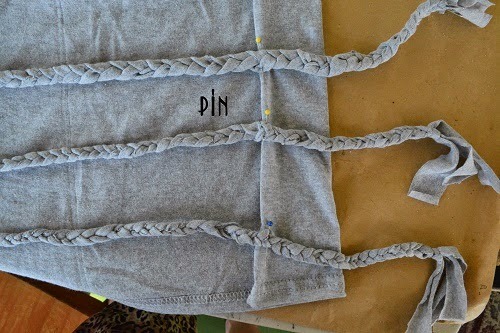 Sew the braids to the shirt with your needle and thread. 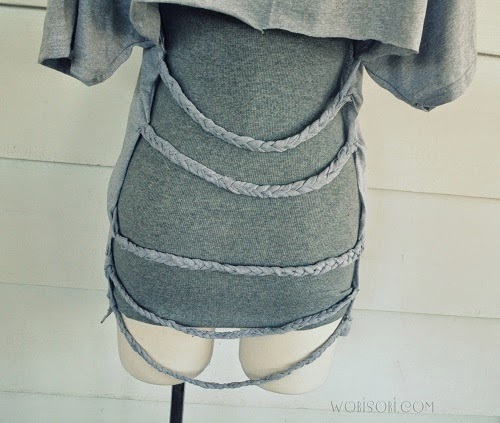 and using a scrap piece of t-shirt, I tied the braids together. I am totally positively in love with this shirt wow what a beautiful look. I would LOVE to hear from you. If you have a question, Please leave your Email so that I can respond. I try and respond to all my comments. Have a beautiful day!! © Anne A. Hollabaugh and WobiSobi, 2015 Unauthorized use and/or duplication of this material without express and written permission from this site’s author and/or owner is strictly prohibited. Excerpts and links may be used, provided that full and clear credit is given to Anne A. Hollabaugh and WobiSobi with appropriate and specific direction to the original content.